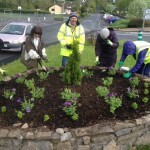 Tidy Towns implemented a new village-wide flower scheme in the Spring of 2015, revamping every flower bed and box (16 in all, plus planters and new plantings) to provide the two villages with a more interesting and unifying appearance. This was done in conjunction with Sligo County Council’s Lucy Brennan’s new design for the visitor carpark at Drumcliffe. 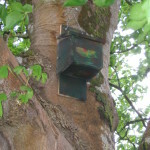 As part of our Tidy Towns Wildlife Education programme, local resident and environmentalist Barbara McInerney presented a Bat Talk/Walk to which 104 persons attended. 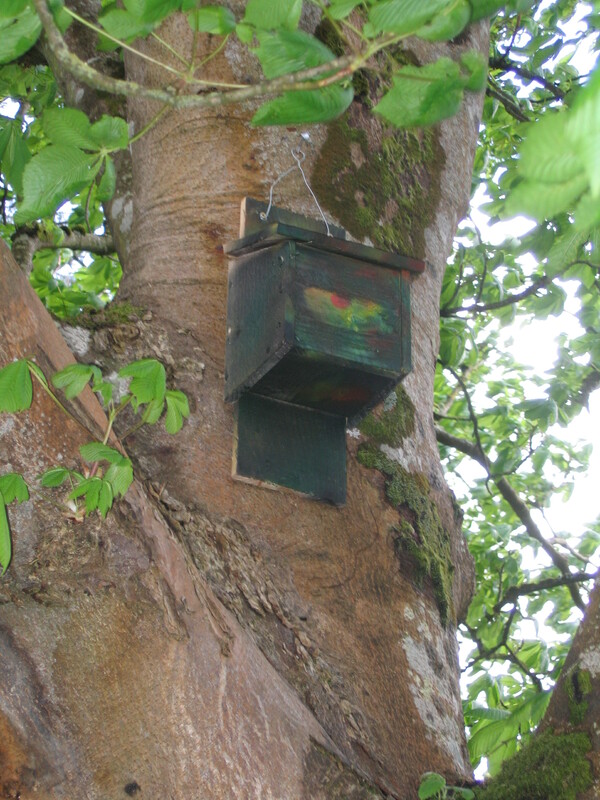 This event followed Barbara’s work with local scouts and residents in building and erecting bat boxes throughout the twin village areas (note bat boxes in trees outside Rathcormac church). 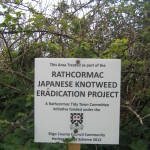 Rathcormac Japanese Knotweed Project 2012-? 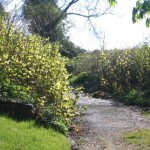 A 19th century arrival from the Far East, Japanese Knotweed is one of Ireland’s most invasive alien species. This tall, upright plant grows up to 10cm a day, is easily spread and extremely difficult to eradicate as uninformed actions can actually encourage further growth and spread. 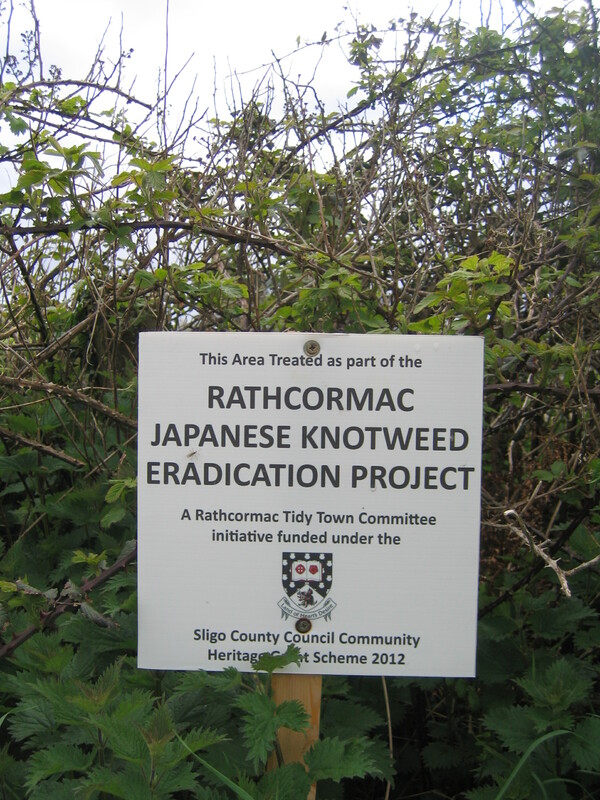 A 2009 County Council-commissioned survey of Rathcormac identified four instances of Japanese Knotweed in the village area and further survey work by Tidy Towns volunteers identified seven additional sites in the immediate area. 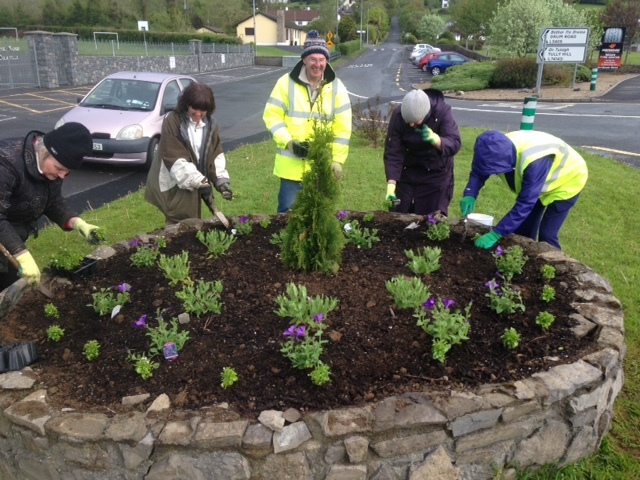 In response, the Tidy Towns Committee, with Sligo Heritage Office support, commenced a spraying programme to eradicate the plant from the village area. The project entailed consultation with Council staff and local landowners, whose permission was required before spraying could commence. Annual spraying of identified sites with glyphosate will continue for several years until the plant has been eradicated. Spraying will occur during the growing season, i.e. late summer when flowering occurs, and spraying records will be maintained as part of the ongoing project. 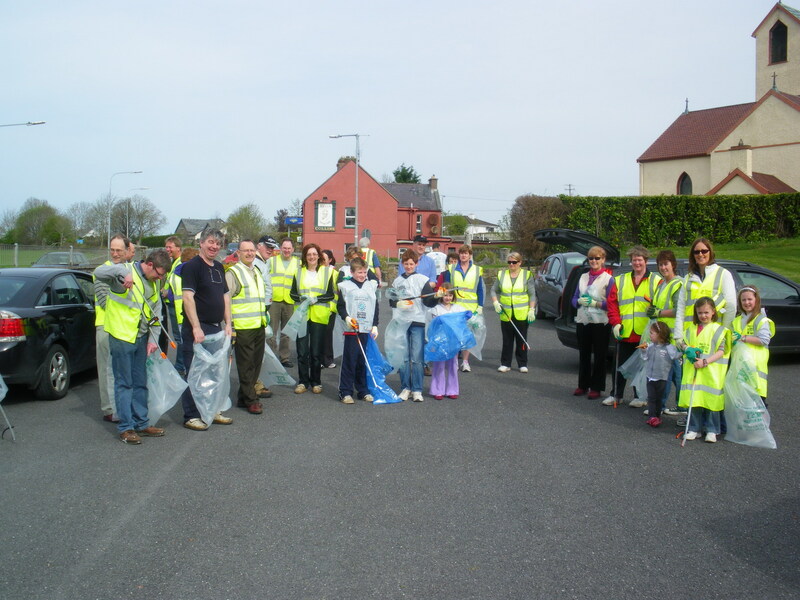 Beginning in 2006 as the Kintogher Spring Clean event, this annual community event now encompasses both Drumcliffe and Rathcormac village areas and their wider environs. 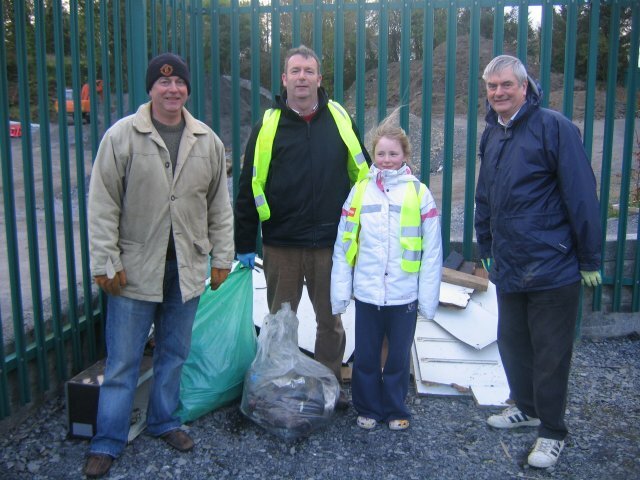 Each April, the now Drumcliffe Rathcormac Spring Clean event sees approximatley 300 local residents, school children, and Scouts taking part in cleaning several kilometres of national, regional and local roads and surrounding areas. 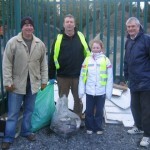 The 2013 event saw a record breaking collection of more than 100 bags of refuse – a great result for the community, but a sad reflection on Irish attitudes towards the environment. 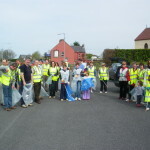 Adopted by the local community under An Taisce’s Clean Coast Scheme, the coastline of Drumcliffe Bay SAC at Doonierin is the subject of an annual clean-up each May as part of Clean Coast Week, as well as ongoing monitoring for illegal dumping.